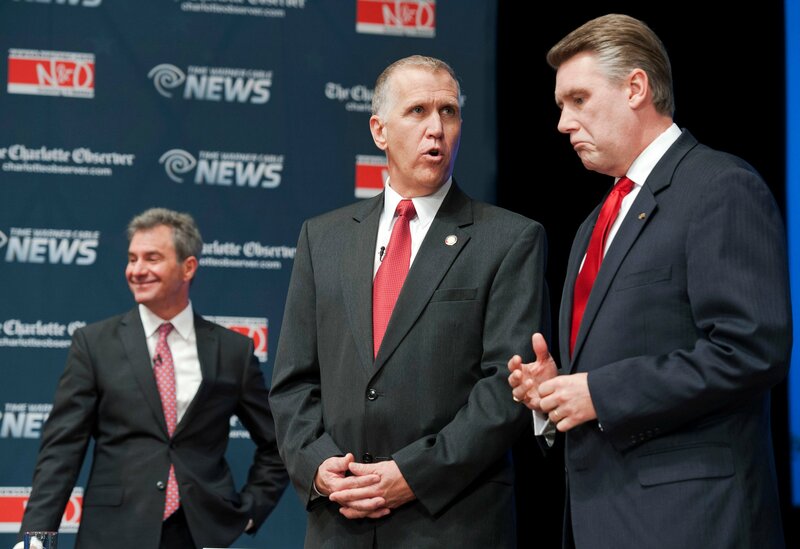 Leslie McCrae Dowless Jr. was a contractor for the top consulting group hired by Republican Mark Harris, a congressional candidate in North Carolina’s 9th district. Dowless is accused of running an illegal ballot harvesting scheme in North Carolina’s rural Bladen County. The state board of elections could decide to hold a new election between Harris and Democratic nominee Dan McCready. 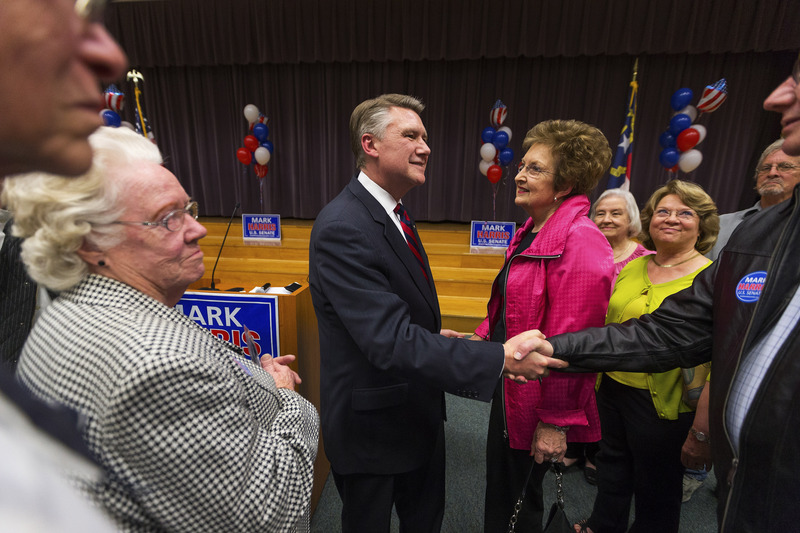 The man at the center of controversy regarding an uncertified North Carolina congressional election is not a candidate — he’s a political operative who has spent time in prison for felony fraud. Leslie McCrae Dowless Jr. was a contractor for the top consulting group hired by Republican Mark Harris, reported The Charlotte Observer. The New York Times shows Harris leading Democrat Dan McCready by 0.6 percent in North Carolina’s 9th District. Now elections officials are investigating possible absentee ballot fraud connected to Dowless that was concentrated in rural Bladen County, where Dowless ran a “command center,” according to The Washington Post. Bladen County is home to roughly 33,000 people in a congressional district with a population of nearly 790,000. There is no evidence that any absentee ballots were destroyed, but election regulators will likely hold an evidentiary hearing at some point in December, reported The Times. Political analysts have called attention to Harris’s share of the absentee by mail votes in Bladen County, which is disproportionate to results in other counties, reported WSOCTV. Harris received 61 percent of absentee by mail votes in Bladen County, which was the only county where Harris had a bigger share than McCready, according to politics professor Dr. Michael Bitzer’s analysis reported by WSOCTV. “In Bladen County, 61 percent of the accepted absentee-by-mail ballots went Republican — the only county to do so; meaning that along with the almost 20 percent of loyal registered Republicans who voted that method, Harris would have also received almost all the registered unaffiliated voters and/or some Democratic registered voters to make it to 62 percent of the vote,” Bitzer wrote according to WSOCTV. In one affidavit, a Bladen County resident, Emma Shipman, wrote that she had handed over her ballot to a woman who told her she was assigned to collect ballots in the district. Another voter wrote that she had handed over her incomplete ballot to a woman, who promised she would finish it. The State Board of Elections should “immediately” certify the the race while investigating claims of voter fraud, Harris said Friday. State election officials have the power to order a new election even if the alleged voter fraud did not occur on a large enough scale to affect the race. They can order Harris and McCready to face off once again if they find enough irregularities to “cast doubt” on the results, according to The Times. McCready called the state board of election’s Friday decision not to certify results “a strong step towards ensuring that the people of the Ninth District have the answers they deserve,” he wrote on Twitter Friday. Dowless’s past, including get-out-the-vote work for nine campaigns and imprisonment for life insurance fraud in the 1990s, is now under scrutiny because of his work supporting the Harris campaign in Bladen County, according to The Charlotte Observer. Dowless has worked for at least one Democratic campaign before, that of former State Representative Ken Waddell. Waddell didn’t find anything amiss when Dowless worked for him, he said according to The Times. Dowless denied all accusations of wrongdoing to The Charlotte Observer. Dowless himself is an elected official, serving as vice chair of the Bladen County Soil and Water Conservation board, reported WSOCTV. His work connected to Harris was on behalf of the Red Dome Group, a political consulting firm that dissolved in 2017, according to WSOCTV. “[Dowless] was an independent contractor who worked on grassroots for the campaign, independent of the campaign … as he’s done for a number of campaigns over the years,” Andy Yates, Harris’s top strategist and founder of Red Dome Group, said according to The Charlotte Observer. Harris was senior pastor at First Baptist Church in Charlotte, North Carolina, before deciding to run for Congress and defeating Republican incumbent Rep. Robert Pittenger in the primaries, reported The Charlotte Observer. 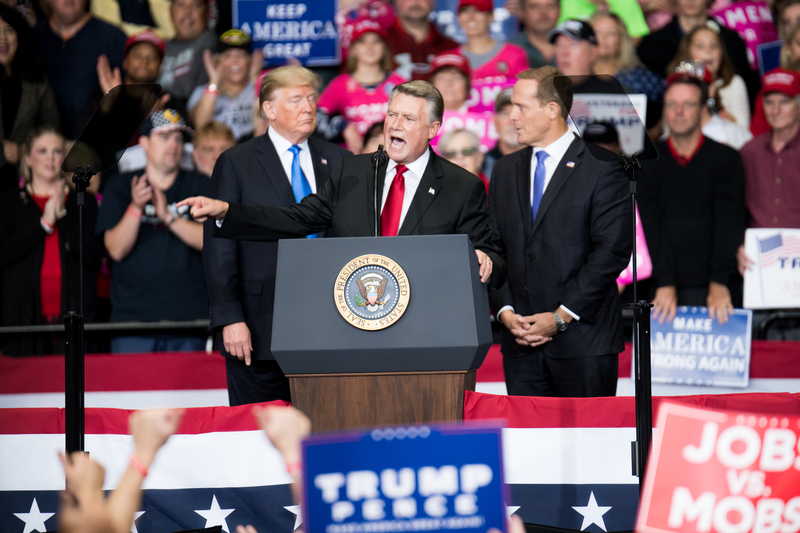 He was endorsed by President Donald Trump in the midterm elections and appeared with the president at a handful of events in 2018. Ballot harvesting is not illegal in all states. A 2016 California law allows any third-party to collect and turn in absentee ballots. The practice appears to have enabled many California Democratic candidates to overcome their Republican opponents’ early leads. Other midterm election races that went uncertified for an extended period of time include Republican Florida Sen.-elect Rick Scott’s race against Democratic incumbent Sen. Bill Nelson and Republican Georgia Gov.-elect Brian Kemp’s race against Democrat Stacey Abrams.